Bluestacks 4 - the best software to play Android Games on Computer. This software works well in Windows 7/8/10 and minimum 2GB RAM is enough to use Bluestacks 4. There are several Android Game Emulator to play Android Games on Computer. But today I am sharing the best Emulator among various Emulator and it is Bluestacks 4. There are 4 version of bluestacks have. But I only sharing the version 4 of of Bluestacks. 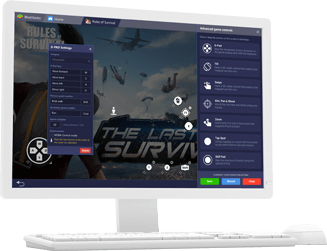 Whats new in BlueStacks 4? You can download BlueStacks 4 from the developers website. Because it is completely free of charge. Or you can directly download this game from here. This software is more powerful than the previous version and it supports various Game Pad. It also playable in Windows 7, Windows 8, Windows 10. Just be sure that you have minimum 2GB RAM. Question 1: What is the Best Emulator to play HD or 3D games in Computer Bluestacks 4 or Tencent Buddy? Answer: Tencent buddy hides the buttons completely so that you don’t have to do it yourself. Bluestacks 4 works well and you can use it for pretty much every Android app. Tencent buddy for me is terrible. It doesn’t map all buttons etc. so either I can choose to be able to aim in and not jump or be able to jump but not aim. It doesn’t matter which resolution I choose or anything else. Bluestacks 4 works like a charm and maps every button correctly. Question 2: How to fix RPC Error "Error retrieving information from server"
Questin 3: What is the system requirement of Bluestacks 4? RAM: Your PC must have at least 2GB of RAM. Question 3: Could I play PUBG MOBILE on BlueStacks 4? Answer: Yes, you can. But you need to keep minimum system requirement of BlueStacks 4. If you face any problem on BlueStacks 4 don't forget to comment bellow.